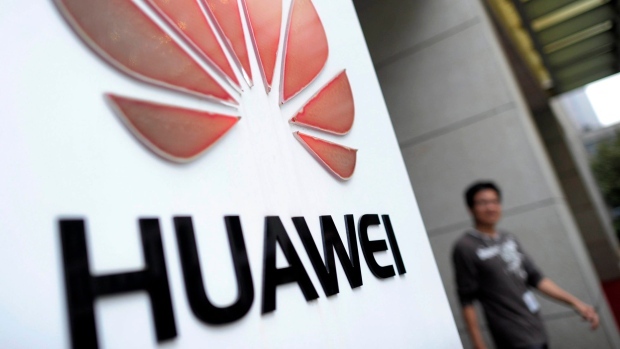 BEIJING -- U.S. and other countries have not presented any conclusive evidence that Chinese telecoms gear maker Huawei Technologies threatens their national security and are merely stirring fears out of self-interest, a Chinese government spokeswoman said Wednesday. Huawei's critics are conjuring up threats and misusing state power to “suppress the legitimate development rights and interests of Chinese enterprises” and are “using political means to intervene in the economy,” said Foreign Ministry spokeswoman Hua Chunying. “All countries should deal with relevant matters in an objective, comprehensive, rational, and correct manner, rather than fabricating excuses of all kinds for one's own pursuit of interest at the cost of others, which is quite hypocritical, immoral, and unfair,” Hua said. Hua's comments at a daily briefing were some of the sharpest yet in a growing feud over Washington's drive to convince other nations to shut Huawei out of their markets due to national security concerns. Huawei is the world's biggest supplier of network gear used by phone and internet companies. It insists that it is independent and poses no threat to the security of others, but has long been seen by some as a front for spying by the Chinese military or security services. Pompeo said the U.S. had strong concerns about Huawei's motives in Europe, especially in NATO and European Union member states, as well as its business practices. “We've made known the risks that are associated with that, risks to private information of citizens of the country, risks that comes from having that technology installed in network systems,” he said. Hua said such concerns were based on provisions of China's national intelligence law that differ little from similar legislation in other countries.